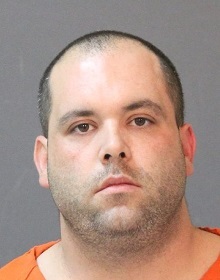 On April 4 the Calcasieu Parish Sheriff’s Office received a complaint regarding Charles Lee Fontenot, 34, DeQuincy, having sexually assaulted a 12 year old female family member. The victim stated Fontenot has had inappropriate sexual contact with her on several occasions since she was approximately 5 or 6 years old. On April 7, after further investigation, Fontenot was arrested and booked in the Calcasieu Correctional Center and charged with aggravated crime against nature. Judge Clayton Davis set his bond at $750,000. CPSO Detective Jacob Dore’ is the lead investigator on this case.